It appears that the Winsome has been lost. Newlyweds David & Stephanie are currently on their honeymoon while Hurricane Matthew has been approaching. Their boat, the Winsome was anchored out in the St. Johns river and has dragged anchor and is now on shore. It was just two days ago, on Wednesday, that Kyle and I went out in 20 to 30 knot winds in our dinghy to go over to the Winsome take down the canopy and all canvas. We had planned on taking down her sails as well but with the winds as strong as they were it was not possible. Seems our efforts were for naught. 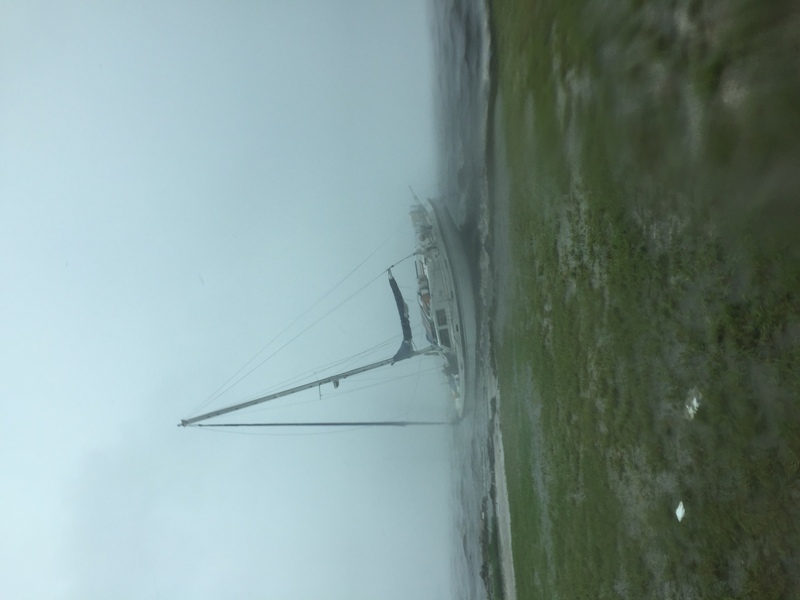 We are not at the marina so we don't know the status of the rest of the boats, but are deeply concerned for all the other owners and those who chose to stay on board their boats during what has been said to be the worst hurricane to hit Florida in 150 years.